Most people book their trip to Los Cabos because they are looking for a beach vacation. The good news is that Los Cabos has a variety of beaches. From party spring-break like beaches to family friendly snorkeling beaches, you’ll be sure to find a Cabo beach that fits your dream. Snorkeling, parasailing, surfing and SUP are all activities that you will find along the beaches in Los Cabos. 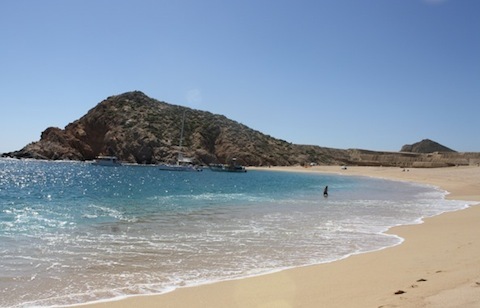 While fun to walk along and very beautiful, many Cabo beaches have an undertow. Please be safe and only swim in safe conditions. There are some tips at the bottom that should help your remain safe while swimming off the beaches in Los Cabos. 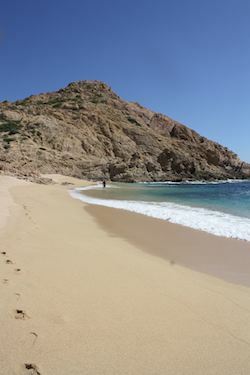 Please scroll down to see complete details of the beaches in Los Cabos. Only 8 miles from Cabo San Lucas, Rancho Carisuva is a traditional Baja California Sur ranch nestled on secluded Playa Migriño. At the ranch, you’ll find 43 horses, a fresh water well, and farm animals like goats, chickens, friendly donkeys and cows. Rancho Carisuva offers ATV, Hiking and Horseback Riding Tours, giving you the chance to discover spectacular ocean side cliffs, lush desert ranges, private untouched beaches and canyon trails. Each tour has a bilingual guide to teach you all about the local flora and fauna. You have found the principal Cabo San Lucas beach. 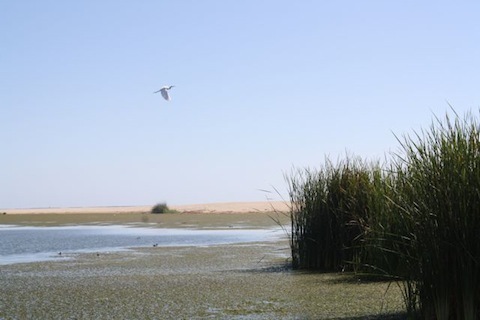 It offers a rope-off swimming area to protect swimmers from personal watercraft and boats. All water sports are permitted, rentals are readily available. 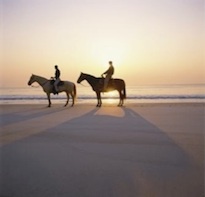 The beach stretches for miles making it a favorite jogging trail for early morning risers. No motorized vehicles allowed on this Cabo beach. There are many beach restaurants such the Office, Mango Deck, and Baja Cantina on Medano Beach. They offer beach chairs for customers. World famous beach party spot, Nikki Beach is also located on Medano Beach. Location: beginning at the east side of the harbor and extending along Cabo San Lucas Bay all the way to Villa del Palmar. 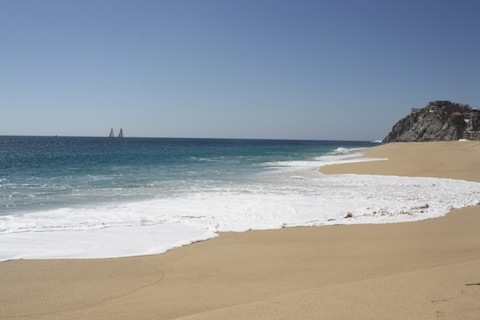 One of the most beautiful beaches in Cabo! Because of very strong currents and waves, swimming here is not advised. 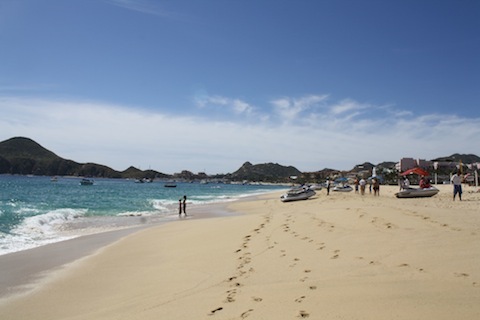 It is a very popular Cabo San Lucas beach for jogging and long peaceful walks at sunset. Keep in mind that no motorized vehicles are allowed on this Cabo beach. Location: frontage beach for and shared by Hotel Solmar Suites, Terrasol Beach Resort, Playa Grande Resort and Hotel Finisterra. You must hire a water taxi to reach this beach; it is one of the most familiar and popular Cabo beaches with its striking rock formations, the arch, the caves, and the clear azure tropical waters. Superb snorkeling can be found on the bay side; this is also a marine sanctuary for colorful tropical fish and game fish. Water sport rentals are readily available. Come for the day: do not forget the sun block, plenty of bottled water and pack a lunch. Location: look for the arch at Land’s End! Swimmable and surfable this Cabo beach is the perfect location for many activities. The calm waves make it perfect for beginners to intermediate surfers and Cabo Surf’s Mike Doyl Surf School makes it easy to rent boards and take lessons. The beautiful scenery & Cabo Surf Hotel accommodations make it a popular wedding destination, honeymoon spot or hang out for family and friends. But be careful getting in and out of the water due to its rocky shore bottom. Location: It is located at km 28 in the Tourist Corridor, across from the Querencia golf course. There are “Beach Access” signs to guide you to the beach. 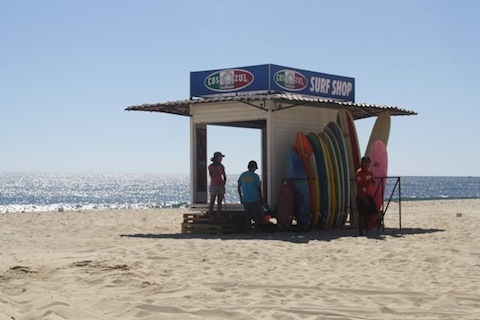 You can also find it in front of the Cabo Surf Hotel and Mike Doyle Surf School. Calm waters identify this beach located in the protected cove of the Palmilla community. 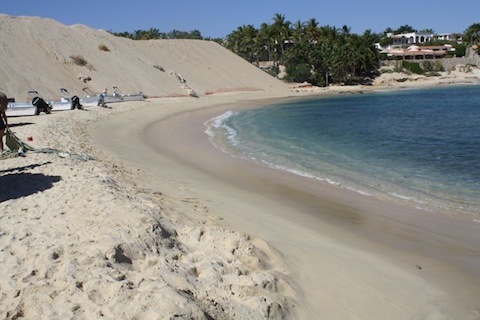 One mile long, this Cabo beach is a popular with swimming and snorkeling destination. Location: Palmilla hotel turn off. 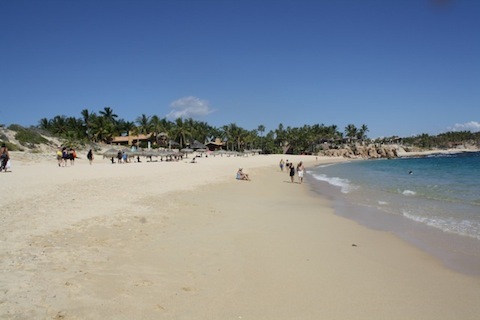 The beach is very popular location for snorkeling and swimming. You’ll find beautiful reefs for snorkeling and scuba diving; there are tide pools for children towards the east end of the beach. Water sport rentals are available. 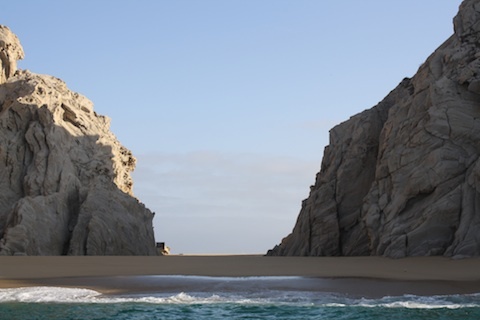 This Cabo beach is a marine preserve located in a horse-shoe shaped cove. This is a favorite stop over beach with charter boat excursions, snorkeling and scuba diving day excursions with colorful tropical fish. Come for the day: do not forget the sun block, plenty of bottled water and pack a lunch. Before swimming in the open water, check if conditions are safe. Undertows and large waves are very common and therefore dangerous. There are no lifeguards on the beaches in Cabo San Lucas. Never swim alone. Any motorized vehicle is not permitted on beaches per Mexican Federal government. 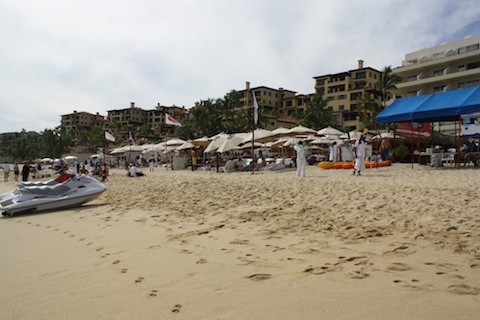 Many Cabo San Lucas beaches have no venders, restaurants or restroom facilities. Remember to bring water, food, sun block, shade & chairs and toilet tissue. Certain Cabo San Lucas beaches have strong undertows, dangerous breakers, rip tides and deep drop-offs – obey signs.